MJ Kim of Shamble Coffee Brewers has won the 2019 Australian TCX Cup Tasters Championship. 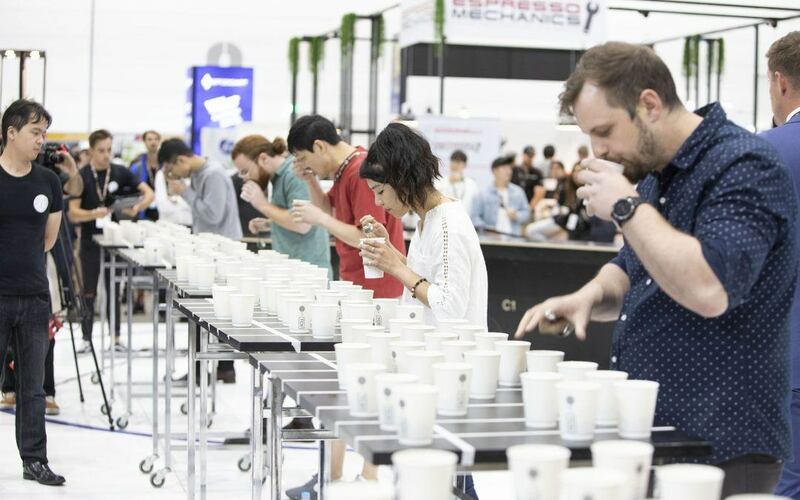 Juwon Jung of Mikro Coffee Roasters in Victoria placed second, and Matthew Smithies of Five Senses Coffee in Western Australia placed third in the competition. Runner-up Juwon Jung finished with the fastest time of one minute and 41 seconds and scoring 7/8. MJ Kim will compete in the 2019 World Cup Tasters Championship at World of Coffee in Berlin, Germany from 8 to 10 June.